Vedic Astrology or as is called in recent decades, is actually Jyotish the Science of seeing light. Jyotish or Jyotisha from Sanskrit, its etymological meaning is giving the light of knowledge from the Sun. Literally to become illuminated by the light of the Sun by gaining foresight. The vision of the Sun God Savitur is the power to see beyond what is. 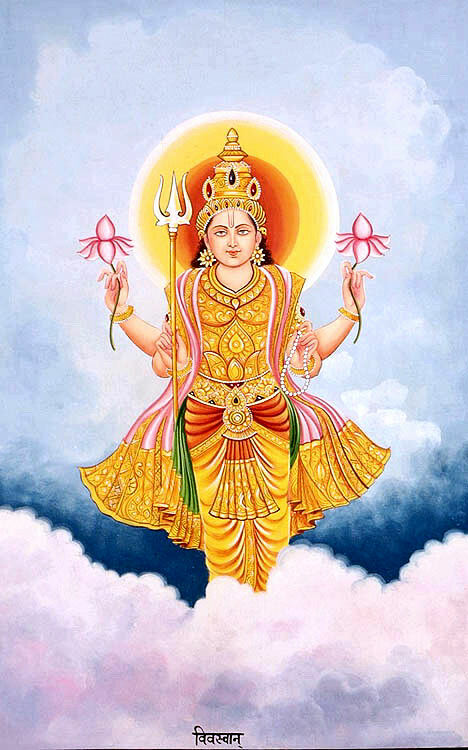 Hence Jyotish has been highly regarded as the Eye of the Vedas. That is one of the reasons that it is very difficult to differentiate Vedic Cosmology and Philosophical wisdom to the subject of Astrology. Every single aspect of Vedic Astrology utilises the cosmological wisdom and underlying philosophy, in the form of Gods, Godesses and the Mythological elements. One cannot study the Sun, the Moon without knowing the origins of the Universe and what Matter is made of! The Vedas are among the earliest known literature of Indo-Aryan civilization, which hails from ancient India. Several Scholars have attempted to date the origins and time of their compositions. Yet, no definitive periods can be placed. All will agree that the Vedas are the oldest literature known to Man. And what we see today in form of Vedas, Agamas, the Upanishads and the Maha Puranas, Samhitas are pretty much untarnished and unchanged ever since they were written. In fact, the expansive Spirituall and Mystical wisdom was available long before it was documented. It was imparted through a very refined, wholistic method of transimission, through Teacher Guru to pupil. Hundreds of years later they got jotted down. The Rishis got their forms through Brhma, Creation of the Universe Sristi. Hence Lord Brhma is depicted with the 4 canonical giant works, the Vedas. Composed in Sanskrit, its origins are considered apauserya meaning “not of human beings”, hence they are authorless. While this might seem extraordinary, you should be aware that this knowledge was originally imparted aurally from the cosmos. The ancient seers or Rishis ‘heard’ this divine cosmic knowledge. RigVeda, part of the Vedas, is one of the oldest texts in any Indo-European language and dates back to 1500 BC – 1000 BC. Some scholars even date it as early as 12000 BC – 4000 BC. Most of the Astrological teachings of the period hail from the Rig Veda. 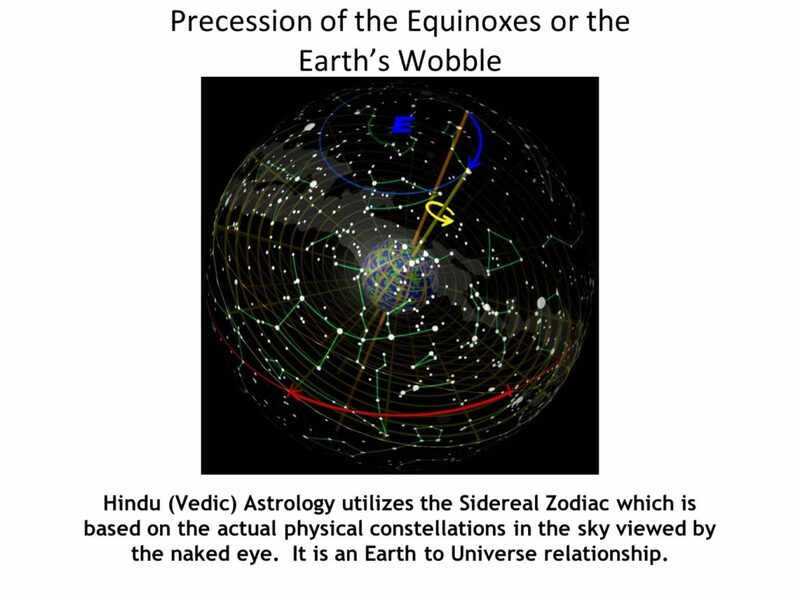 Ancient Vedic sages were aware of the fact that the Earth changes its tilt or “wobbles” on its axis.Without the aid of telescopes or modern technology they calculated that the orientation of the equinoxes to the Fixed stars. That is the meaning of ‘Apausuerya’ not from knowledge gained from Human beings. From a unknown Source outside of the Cosmos. 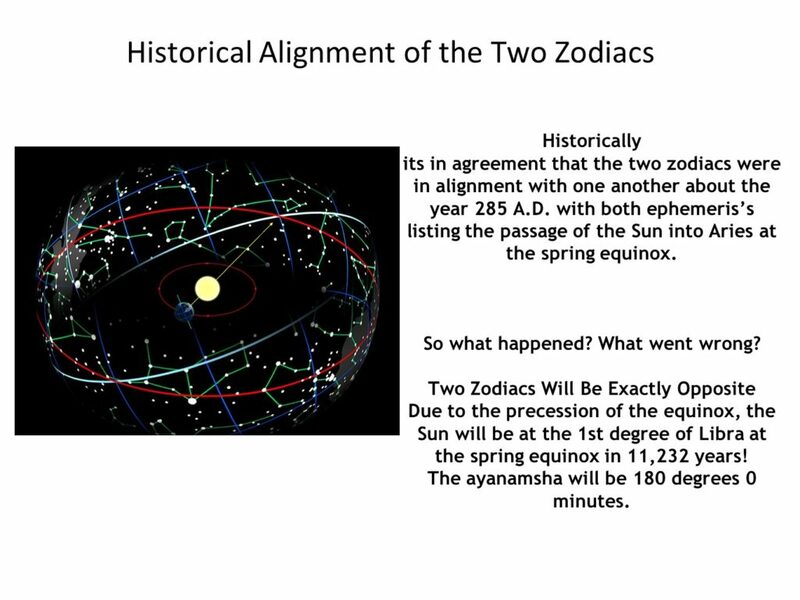 The main difference can be summed up by that fact that the Sidereal Zodiac takes into consideration the precession of the equinoxes, the 26,000 year wobble of the Earth on its axis. Earth goes through one such complete precessional cycle in a period of approximately 26,000 years or 1° every 72 years, during which the positions of stars will slowly change in both equatorial coordinates and ecliptic longitude.